It may comes as quite a shock to you that advertisers bend the truth to get their products sold. Or, it may come as no shock at all. We can’t assume to know your educational background. Do you know what badminton is? Badminton looks like fun, but it is terrible. That’s what advertising does to you. 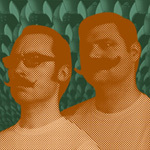 The Mustache Rangers discuss the perils of adverting in this comedy podcast of theirs. Eat it up with your ears. And enjoy a special guest message from Succotash, the Comedy Podcast Podcast.